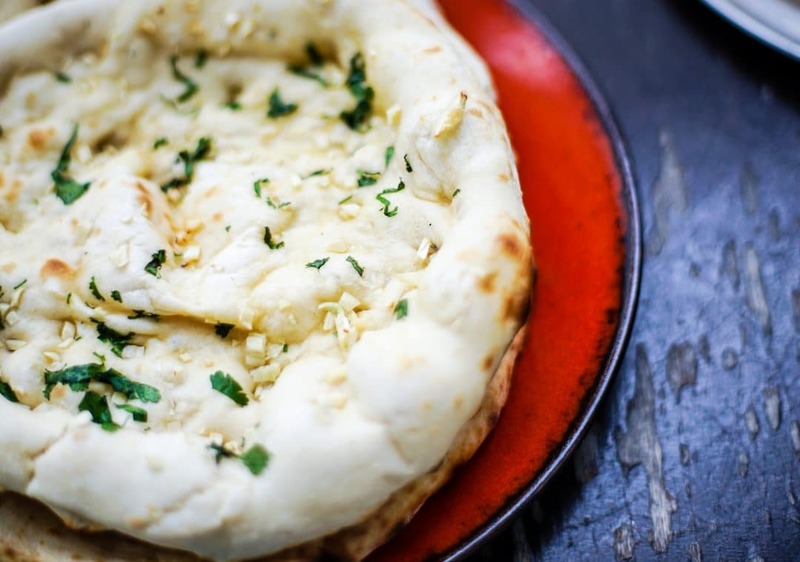 The delicious crispy naan with its billowy, pillowy soft interior is hugely popular all over South Asia… and North London! Naan, from the Persian word for bread – ‘non’, was first developed in India at least 1000 years ago but for many centuries it was a bit of a secret; the bread of royals and aristocrats alone. The breakfast of kings was often a naan with a kebab or keema. Maybe that’s how the keema naan was born? Luckily we commoners can now enjoy it too. It’s just a phone call or mouse click away. They are often thought of as a flat, unleavened bread, but they are actually made with yeast, fermented with a good dollop of yoghurt and some ghee for richness and flavour. Naan can be made at home… well… arguably a real naan should be made on the walls of an ultra hot tandoor oven. But unless you have room in your kitchen for a five foot earthenware pot, encased in sand and bricks and with a temperature approaching 500°C, we’ll have to make do with a grill or a frying pan. If you fancy a stab at making the bread of the subcontinent, Jamie Oliver has a great recipe. They are not difficult; messy maybe. 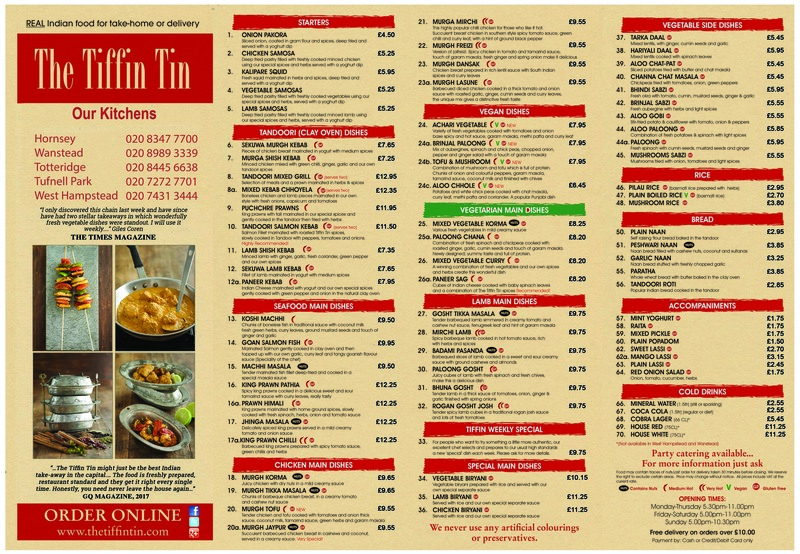 At The Tiffin Tin, the Naan dough is made fresh every day, then divided up before being allowed to prove. Converting a pluck of this sticky dough to a light bread is quite a skill. This is Mohan (with the fearsome looking tandoori skewer) at our Hornsey branch shaping the dough by (fast) hand. The round is then placed on a cloth pad and expertly placed on the side of the tandoor oven. This sounds easy maybe but emember that oven wall is around 500°C/930°F. The intense heat forces tiny air bubbles to expand fast, only to be baked into a crisp crust within seconds. Naans start off circular; that distinctive teardrop shape is caused by the bottom sagging slightly. Mind, so would I in that heat. A quick brush with some melted butter and the bread is ready for the waiting mouth… or dispatch moped. We offer three naans at The Tiffin Tin: plain (well, flavoured by black onion nigella seeds), garlic and Peshwari (from Peshwar in Pakistan); a sweet filling of coconut, cashews and sultanas.